(July 1, 2005) The international HIV/AIDS medical-pharmaceutical-industrial complex, which some observers have named "AIDS, Inc.," is poised to pull off what may be its greatest ever propaganda coup during the first week of July 2005, hoping to extend its reach more deeply than ever into the psyches and pocketbooks of the world's population. The vehicle to facilitate this agenda is Live 8, a series of ten concerts taking place simultaneously on July 2 on four continents (in England, mainland Europe, South Africa, Japan, and the U.S.). 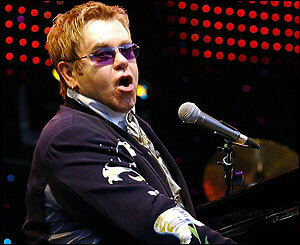 Live 8 will be televised and Webcast to an audience (its promoters predict) of between two and four billion people. In the U.S., the ABC TV network will air a 2-hour Live 8 special on Saturday July 2 between 8 and 10 pm E.D.T./P.D.T. According to Kevin Wall, an executive producer of the Live 8 broadcast, "It's the biggest entertainment event in television history." Live 8 will also receive numerous hours of live coverage on the MTV and VH1 cable networks, on XM satellite radio, and on America Online. Another big Live 8 concert is planned for July 6 in Scotland, the site of the summit of so-called G8 (Group of 8) nations, representing the wealthiest countries in the world. 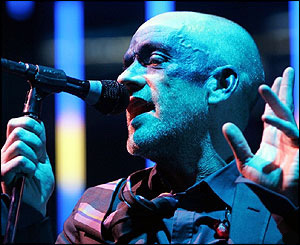 Live 8 is the brain child of Sir Bob Geldof, a former punk rock musician. 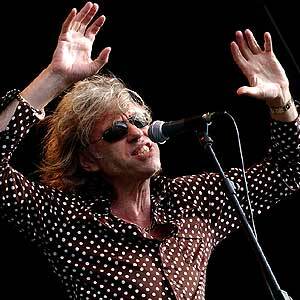 Geldof was the front man in the 1970s and early '80s for the Irish band the Boomtown Rats. The group had several top ten hits in the UK but none in the U.S. Exactly twenty years ago, as his musical career was starting to wane, Geldof organized two of the biggest charity music events in history: The co-writing and production of the star-studded single record "Do They Know Its Christmas?," a huge hit in the UK in December 1984, and, six months later, the largest rock concert of its time, Live Aid, which, like the Christmas record, was intended to raise money for Africa after reports of famine there aired on TV in 1984. For his efforts, Geldof was knighted by the British crown. Geldof's objective this year, with 100 well known veteran and contemporary acts set to appear on stage, including Sir Paul McCartney, Madonna, Sir Elton John, Coldplay, and the rapper 50 Cent, is not to raise direct charitable contributions from attendees and viewers for famine relief but instead to lay more groundwork and increase political pressure so that Western governments will feel compelled to act - canceling out the debt accumulated by Third World countries and, with the money coming from their public treasuries, providing additional billions of dollars worth of drugs and conventional medical services along with an army of workers trained to test for and to treat HIV/AIDS in Africa. An indication of the credibility accorded to the causes associated with Live 8 is the fact that one of the key figures in Live 8, Paul Hewson, a.k.a. Bono, 45, the lead singer of the venerable Irish rock group U2, was invited to appear on June 26 on Meet the Press, the NBC television network weekly news program that usually has as its guests leading politicians and policy makers. Bono is one of the founders of DATA ("Debt AIDS Trade Africa"), another international advocacy group. Bono's opening comments on Meet the Press about what he and Live 8 are attempting were: "Yeah. Yeah, it is a challenge. It's just one of those moments. . .We know you've got a deficit problem. We understand there's a war being fought. But, really, if we're to take this issue seriously, and we must, because in 50 years, you know, when they look back at this moment, they'll talk about the war against terror, they'll talk about the Internet, and they'll talk about what we did or didn't do about this continent [Africa] bursting into flames. It is the most extraordinary thing to watch people dying [of AIDS] three in a bed, two on top and one underneath, as I have seen in Malawi, in Lilongwe, Malawi. I mean, it is an astonishing thing. And it's avoidable. It's an avoidable catastrophe." While most politicians and virtually all of the media are swooning over the Live 8 event and the opinions, recommendations, and demands of Bono, Geldof, and their compatriots, some observers are not impressed. 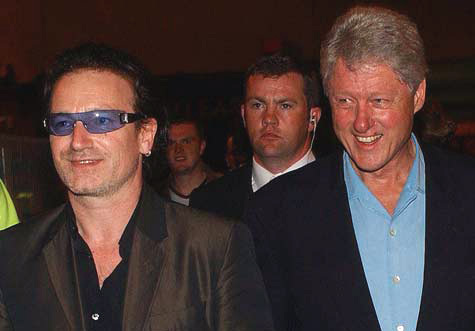 In a "Viewpoint" column, "What Do Rock Stars Know About the World?," published June 28 on the BBC's Web site, Brendan O'Neill observes that "World leaders seek an audience with Bono in the way they might once have sought an audience with the Pope." O'Neill mentions James Panton, a lecturer in politics at Oxford University. Panton, according to O'Neill, "thinks it is the 'exhaustion of political vision' that has allowed 'these petty celebrities with their banal and limited arguments to take centre stage. And that's a bad thing,' he argues. . .Panton says, 'It is a frightening indictment of the state of politics to see people like Gordon Brown [the heir apparent to British Prime Minister Tony Blair] kow-towing to people like Geldof.'" In 2006, it will be twenty-five years since the AIDS issue first emerged. In 1987, I reported that the then fledgling anti-AIDS effort was already mimicking the failed "War on Cancer." The latter had been started in 1971 by the U.S. government in collusion with the medical Establishment, pumping billions of tax dollars into conventional cancer research and treatment and promising a cure for cancer by 1976. That cure has never materialized but the permanent war economy of research, invasive tests, drugs, surgery, and radiation that has resulted from the ongoing effort continues to employ hundreds of thousands of medical workers in the U.S. and additional hundreds of thousands if not millions of people abroad and consume approximately two hundred billion dollars a year (in the U.S. alone) on cancer, which recently replaced heart disease as the leading cause of death. Ultimately - incredibly - the 21st century trans-national anti-AIDS effort has come to dwarf anything ever attempted against cancer (by individual governments, the international community, and the private sector) in terms of money, infrastructure, and world class, politically correct spin. The spin began in force on April 23, 1984 at a press conference called by the U.S. National Institutes of Health (NIH). With scores of media representatives in attendance, it was announced with unprecedented fanfare that the cause of AIDS was discovered and that it was a virus. Soon thereafter the virus would come to be called "HIV." HIV, which was identified as the exclusive cause of AIDS, was said to be transmitted primarily by intimate sexual contact, initially between and among homosexual men, and yet HIV behaved like no other virus ever observed with contradictions that should have been explored but never were. Within three years, a number of researchers, from both the mainstream and the leading edges of science, were questioning the entire "HIV hypothesis" upon which the burgeoning AIDS research and treatment Establishment that was by then spending billions of dollars a year was based. These researchers included a number of distinguished figures from academia and at least one Nobel Prize winner. Despite the quality of the questions that were raised, and the number, credibility, integrity, and intelligence of the questioners, the critique went nowhere, in terms of influencing AIDS spending or public policy. The conventional HIV/AIDS bandwagon had already started rolling and it was unstoppable. The HIV/AIDS propaganda matrix, whipped up into near-hysteria at times, continued to gather momentum all through the 1980s. 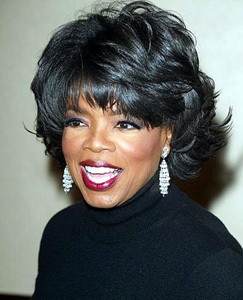 One example of the media's collusion with the medical Establishment is emblematic: Oprah Winfrey, one of the most successful and influential television personalities in American history, predicted on the Oprah Winfrey Show on February 18, 1987, according to Dave Steele, who cites a transcript of the program, that by 1990 one in five heterosexuals in the United States could be dead from AIDS. The actual AIDS death toll in the U.S. has been considerably smaller than the original outlandish predictions - less than 500,000 total deaths from AIDS during the two decades ending in December 2001 according to the Centers for Disease Control. In contrast, over half a million Americans every year die of cancer. When the AIDS epidemic never quite materialized as the end times plague that was predicted by Oprah and many others in the 1980s, new strategies were called for to keep the bandwagon/boondoggle rolling and accelerating. In the 1990s, the continent of Africa (home of some of the poorest countries on earth, and with its population known to be susceptible to a high incidence of serious, chronic health problems) was identified by the powers that be as the new battleground of HIV/AIDS. The "War on AIDS" had reached a whole new level: a truly global "conflict." There were even official assertions that AIDS in Third World countries represented a threat to U.S. national security - an interesting claim in light of the war on terror that was soon to follow. An entire, large United Nations bureaucracy, UNAIDS, has grown up around the disease, especially targeting Africa and the Third World. According to UNAIDS, in 2004 over 23 million adults and children are "living with HIV/AIDS" in Sub-Saharan Africa compared to 540,000 to 1.6 million people living with HIV/AIDS in North America. Another huge international organization, the Global Fund to Fight AIDS, Tuberculosis, and Malaria (but mostly AIDS), describes itself as "a partnership between governments, civil society, the private sector and affected communities." To date, it has raised over $3 billion from governments and the private sector, almost all of it directed to testing populations for HIV and providing drug treatments. Today, virtually the entire world - including every single government (with one possible exception, South Africa - see below; in addition, the rogue state of North Korea may also have avoided becoming part of the consortium), as well as the UN, domestic and international elements of the conventional medical Establishment, academia, the media, NGOs (non-governmental organizations or "charities"), a variety of activists, and even most proponents of complementary alternative medicine (CAM) - has bought into the HIV/AIDS hypothesis and the party line that billions of dollars a year are needed by Africa and the Third World, and in fact are owed by the nations of the West to Africa, to provide everyone "infected" with HIV in Africa with affordable or free anti-retroviral drugs (incidentally, produced by highly profitable pharmaceutical companies in the West) to treat their AIDS or to prevent HIV from developing into full-blown AIDS. If these and more billions of dollars and euros are not forthcoming, it is claimed by a parade of UN and other experts, the world will "lose" the "AIDS fight" with cataclysmic results. Largely overlooked if not totally avoided in this conventional symptomatic drug-treatment approach to HIV/AIDS is the role of a wide variety of potential factors other than HIV transmission, including environmental influences, as either critical co-factors or even primary determinants in a population's health. It has been pointed out repeatedly, for example, that the weakened immunity associated with poverty, malnutrition, lack of sanitation, and other things that are common in much of Africa and the Third World can seriously compromise or destroy an individual's health. Incredibly, the conventional war on AIDS, like no other issue in history, has succeeded in uniting and mobilizing left and right, liberals and conservatives, and evangelicals and nonbelievers in a lock-step march toward institutionalizing the pharmaceutical drug treatment paradigm worldwide right down to every last person on earth. If this sounds like an exaggeration, consider the fact that the expressed objective of policymaking HIV/AIDS control proponents is to test everyone on the planet for HIV so that everyone who tests HIV positive can be treated with antiretroviral drugs, even infants who test HIV negative if their mothers test positive. It is an absolute act of modern heresy and guaranteed career suicide for anyone in any position of power and authority to challenge the dominant HIV/AIDS mega-spin including the belief in the monolithic HIV/AIDS-test-and-treat-with-drugs strategy that is now completely operant at every level of public policy around the world. Anyone with an open mind and no axe to grind who is interested in exploring the reality of "HIV," "AIDS," HIV/AIDS in Africa, antiretroviral drugs, and so on, can find a lot of interesting and insightful material, much of it available online. An essential and highly accessible starting point, published in the June 22, 2005 issue of the New York Press, is a piece by journalist Celia Farber, who has written probingly about AIDS since the late 1980s. Farber's new column "Drugs, Disease, Denial," begins: "The hysteria-laden question of whether anti-HIV drugs are 'life-saving,' as the AIDS orthodoxy holds, or 'deadly,' as the HIV dissidents claim, is unanswerable in the currently available language, which was blunted and rendered incoherent by political forces as early as 1981." Specific to the situation with AIDS in Africa, there is much thoughtful and provocative analysis available. 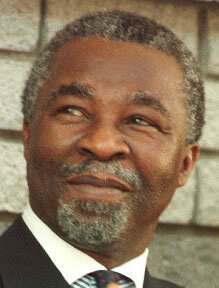 One independent and knowledgable authority, African expert Charles Geshekter, Ph.D., professor of history at the University of California at Chico, has authored, with two other academics (from South Africa and Germany), a paper that reviews and validates at some length Mbeki's critique. Another paper, by David Rasnick, Ph.D., president of the Group for the Scientific Reappraisal of the HIV/AIDS Hypothesis, a major association of AIDS rethinkers, and Christian Fiala, M.D., is titled "But What About Africa?" Like the paper by Geshekter et al, the one by Rasnick and Fiala raises questions which the Establishment seems to want to avoid at all costs or simply cannot answer.